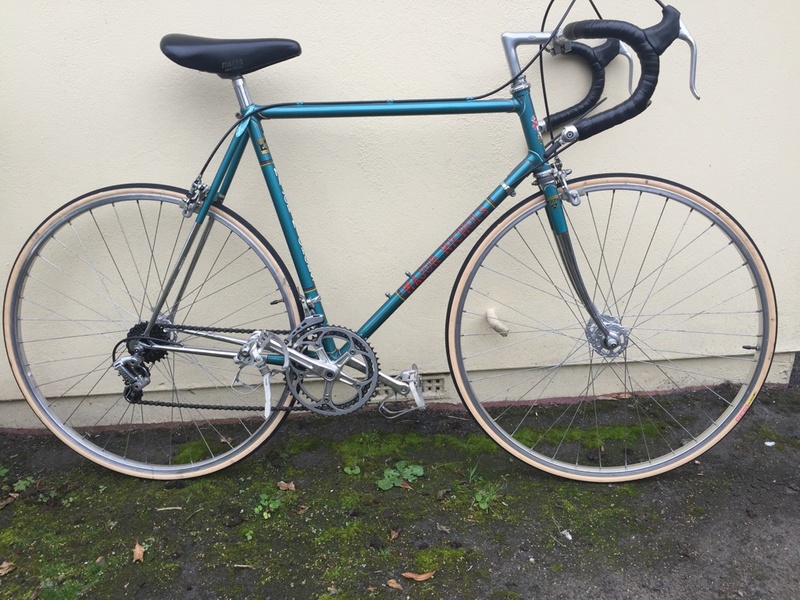 This is a stunner in close to superb overall condition. Built in 1979 for an unknown rider and not collected. Major, for a change, was bullied into selling it to Graham in 1980. Lucky man! See his rider’s room soon. 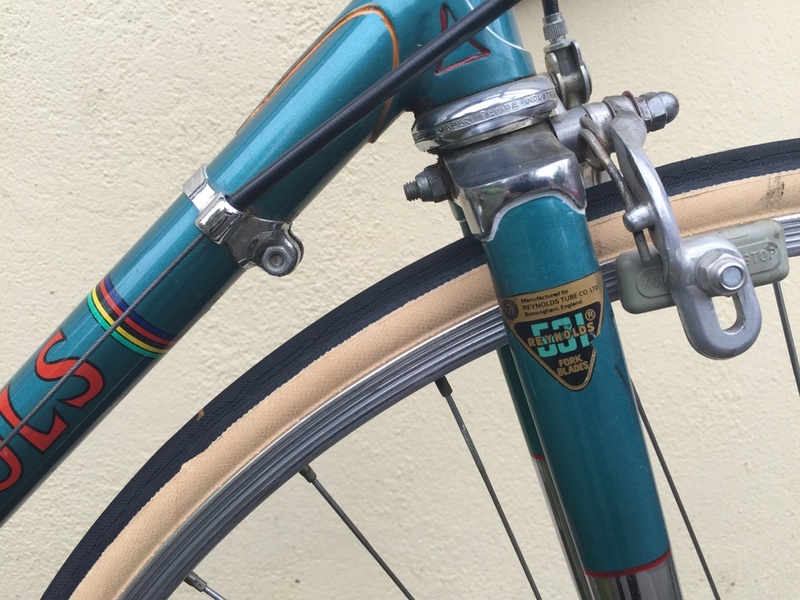 The 531 DB frame has Haydon Royal Sovereign lugs and the Cinelli fork crown used on his later best bikes. 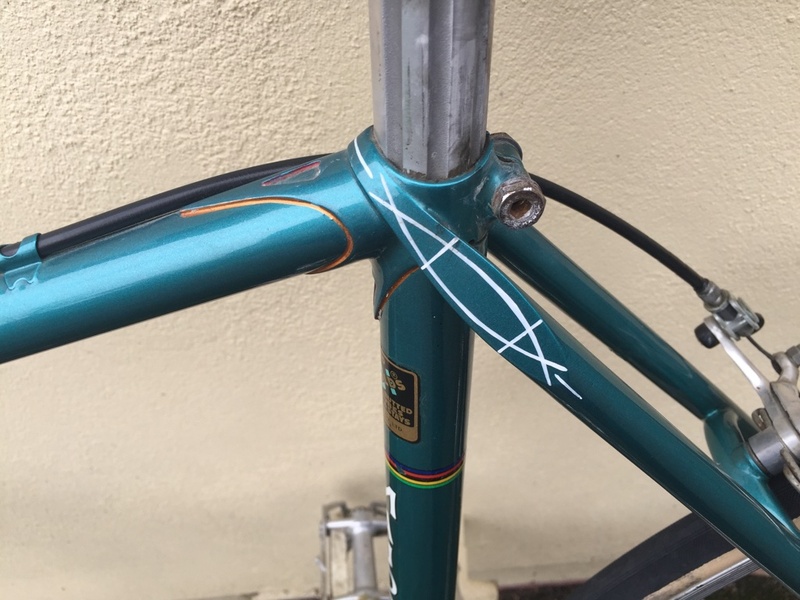 Chrome fork crown, ¾ forks and rear stays. The fine sickle shaped forks only have a small offset. Clearances are small and there will be a toe overlap issue. 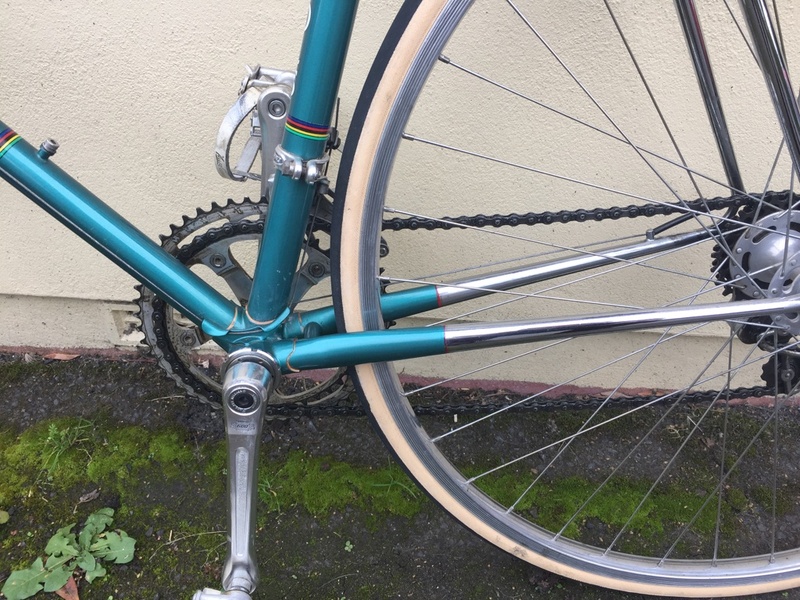 The seat stay bridge is curved and reinforced and the chain stay bridge straight and very close to the BB lugs. Braze-ons have the T/T cable guides BB cable guides and O/S chainstay stop. There is his signature full wrap-over seat stay and double fishtail motif in white and lug lining in red, white and gold. The D/T gothic script name is in red and there are head tube and seat tube Durban Road transfers. 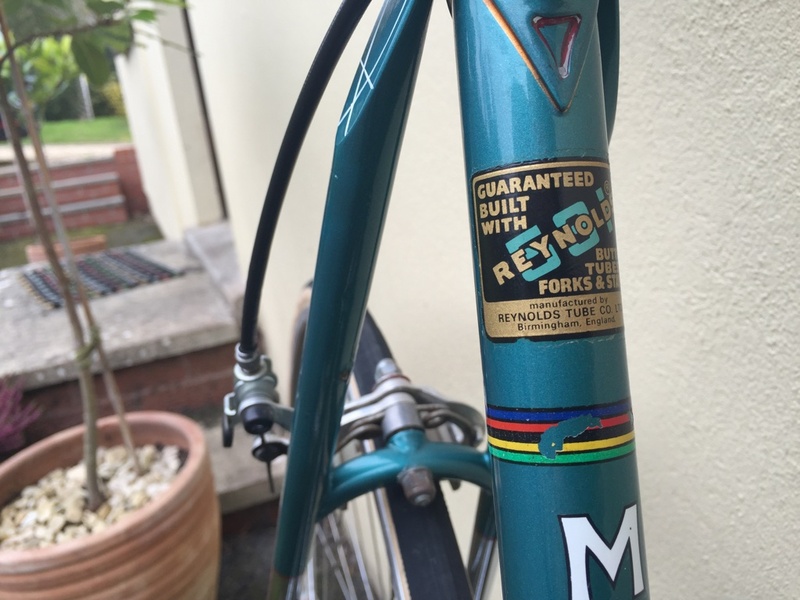 The seat tube example is boxed by two groups of three multicolour bands. This was regularly used device. 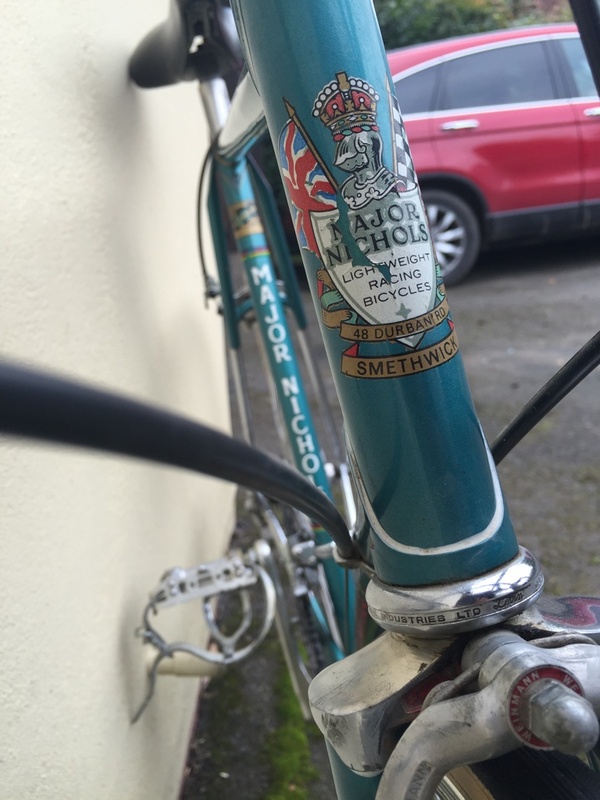 Graham built the frame with equipment from his Elswick.